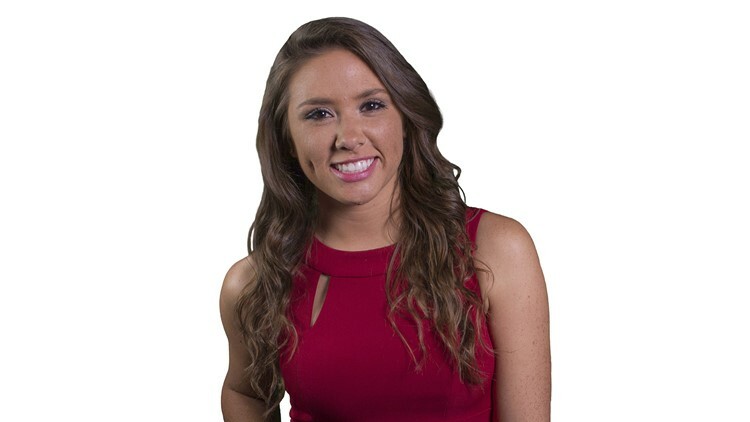 Meghan Puryear started as a reporter/multi-skilled journalist (MSJ) for 13News Now who moved into the position full-time in February 2018. Meghan joined the team in 2017 as a producer and MSJ. The Virginia Beach native received her graduate degree in Broadcast Journalism and Public Affairs, with Concentration in Broadcast from American University. While attending American, Meghan worked at the Investigative Reporting Workshop under former 60 Minutes producer Charles Lewis. Meghan interned with CNN’s investigative unit in her last semester of grad school. Upon graduation, she was hired as a CNN news associate. Meghan worked for the investigations unit and helped run CNN town halls in this role. Meghan later moved on to the Russia investigation team where she worked alongside team producers and reporters on the probe. Meghan completed her undergraduate studies at the University of Mary Washington with degrees in Political Science, Philosophy, and a concentration in Pre-law. While at Mary Washington, Meghan played tennis and worked as a political reporter for Global Voice Hall. Meghan is extremely happy to be home in Hampton Roads. When she’s not reporting, you may find her at the beach with her dog or surfing.